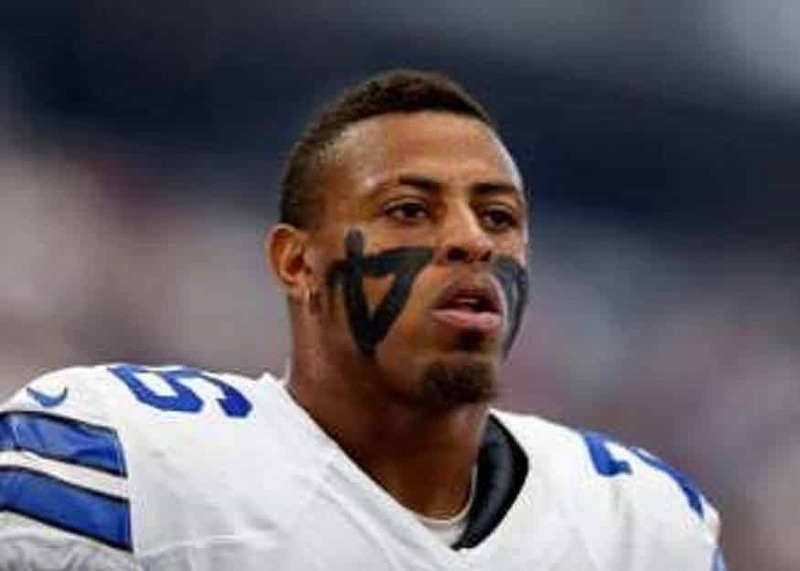 Deadspin’s Diana Moskovitz published a report Friday detailing Cowboys defensive end Greg Hardy’s domestic-violence incident from 2014. In the report, Moskovitz also got access to photos of the victim, Nicole Holder, from the night of the incident, which shows Holder with significant bruises on her back, neck, arms, legs, chin, and feet. The incident, in which Hardy was accused of slamming Holder, choking her, and throwing her onto a couch full of assault rifles, kept Hardy out of 15 of 16 games last season on the commissioner’s exemption list and four games in a suspension this season. The report documents Holder’s account of the night, based on police reports. She describes a long night of drinking and partying at several bars with cocaine use. Afterward, Hardy, Holder, and several other people were back at Hardy’s apartment when Holder claims Hardy snapped and began yelling at her. When she tried to defend herself, Hardy allegedly began hitting her, throwing her into a bathtub, dragging her on the ground, and later slamming her onto the couch with the guns, then choking her. 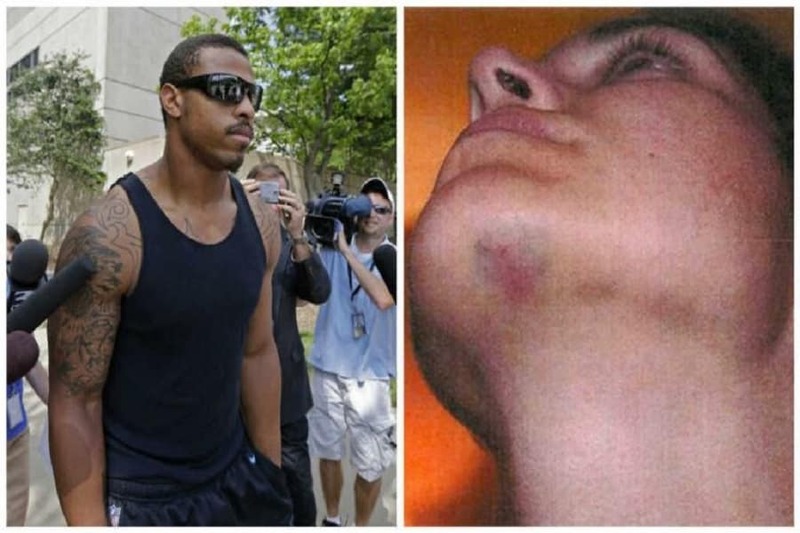 When Hardy stopped, Holder says he called the police and said that Holder had been attacking him. She goes on to say that she was restrained by one of Hardy’s assistants while Hardy was on the phone. She later fled the apartment, claiming that she had to crawl, before police caught up to her on the streets and began investigating the incident. According to Pro Football Talk’s Mike Florio, Hardy declined media requests at Cowboys practice. Jerry Jones had already done his weekly radio show, and coach Jason Garrett had already spoken to reporters before the report was published. 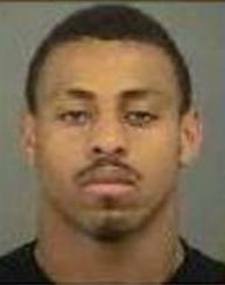 Hardy is unlikely to be punished any further. The case was eventually settled, the charges were expunged, and he’s already served his suspension, one that was reduced from 10 games to four by an arbitrator. For the Cowboys, this is another damaging incident from Hardy. Upon returning from suspension, he was criticized for tone-deaf comments about women to the media. He later caused a scene when he went berserk on the sidelines, yelling at players and shoving a coach. Hardy signed a one-year, $11 million contract with the Cowboys in the offseason. We reached out to Hardy’s lawyer Drew Rosenhaus, who declined to comment.